With a special interest in issues involving children, Keith Nelson is a highly respected attorney with years of experience in divorce and custody litigation, with special emphasis on addressing the psychological impact of custody and divorce litigation on children and their parents. In recognition of this expertise, he was appointed to serve on the Texas Supreme Court Committee on Visitation and Child Support Guidelines, which promotes proposed changes to the Texas Family Code for the Texas Legislature. Keith has been a frequent author and speaker throughout the nation for more than 20 years on such topics as custody, visitation, psychological aspects of divorce and custody, jurisdiction, common -law marriage and Amicus Attorney arrangements. He works with such organizations as the State Bar of Texas, American Academy of Matrimonial Lawyers, American College of Forensic Psychologists, and the National Business Institute. After receiving specialized training, he also has opened his practice to the use of Collaborative Law. AV-rated by Martindale-Hubbell, Keith has been selected to the Texas Super Lawyers list every year since its inception in 2003. He earned recognition among the Top 100 Super Lawyers statewide in 2013, 2015, 2017 and 2018, and also was named to the list of Top 100 Lawyers in Dallas-Fort Worth by the same publication in 2009, 2011-2015, 2017 and 2018. In 2014, 2017 and 2018, Keith was recognized as one of the Best Lawyers in Dallas by D Magazine. He also has been named to the list of Best Lawyers in America every year since 2006, based on his work in Family Law. A fellow of the American Academy of Matrimonial Lawyers since 1993, Keith has served on multiple AAML committees. He also is active in the local legal community, having served on the Dallas Bar Association's Family Law Section Board of Directors and as a consultant to Lawyers Against Domestic Violence. Keith provides pro bono representation for indigents in cases where serious issues regarding children exist. Keith has been Board Certified in Family Law by the Texas Board of Legal Specialization since 1988. 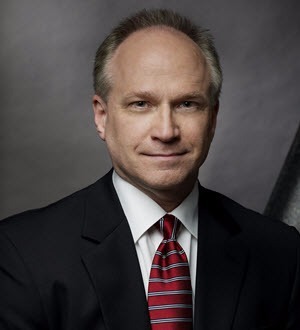 He is a 1983 graduate of the Baylor University School of Law. He also holds a Bachelor's Degree in economics from Baylor.